Oceanhorn: Monster of Uncharted Seas Review: Buy, Wait, or Skip? Oceanhorn: Monster of Uncharted Seas caught my eye back when it debuted on iOS in 2013, but I don’t own any iOS devices so I never played it as a mobile game. It eventually made its way to Steam and I even went so far as to buy it with the intention of playing it, but never got around to it. Now that the game has landed on Switch I finally bit the bullet and committed to checking it out. It’s the perfect Zelda-like that you haven’t played yet and it feels right at home on Nintendo Switch. 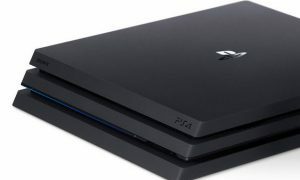 Here’s our full review. 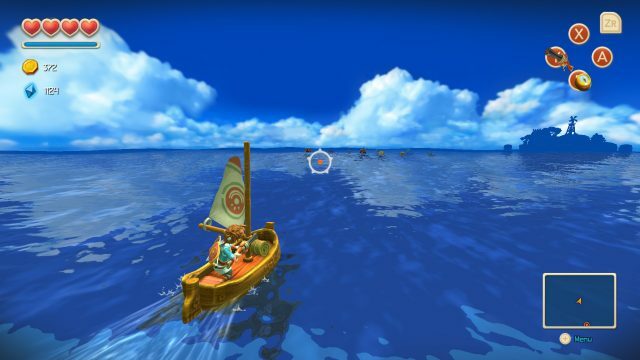 The core gameplay of Oceanhorn will feel very familiar to anyone who has played a Zelda game in the last 25 years. 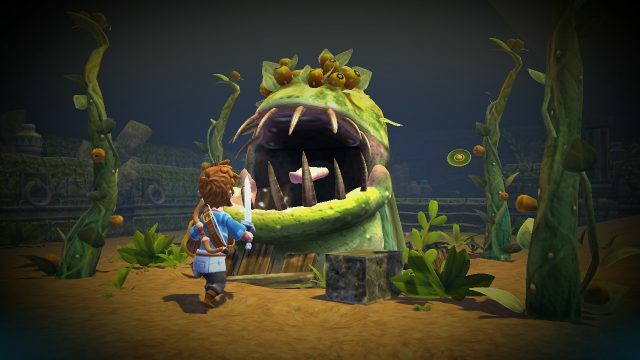 The story itself is a bit cliche and expected for a Zelda-like as you take on the role of a boy whose dad has left him alone to go and fight Oceanhorn, a giant mechanical monster that is terrorizing the world. You’ll collect your dad’s old sword and shield and your mother’s amulet before you set out on an adventure that feels a bit like a mash-up between classic 2D Zelda and Wind Waker. You’ll venture to new islands by talking to people to uncover places to explore, each with their own puzzling adventures and abilities to unlock. The boating itself is automatic except for a pea shooter you can use to take down flotsam and monsters, but how often you’re traveling between islands makes this feel a bit tedious. You’ll explore various islands with different biomes, but there’s not a lot of variety in the monsters you’ll fight. Combat is a pretty simple affair too and once again, you’ll feel right at home if you’ve played any Zelda game recently. You can block with your shield and swing your sword to attack, but you also get a bow and arrow and bombs for unlocking new areas you can’t reach in melee range. Most puzzles on the various islands consist of figuring out how to properly arrange blocks in order to get to areas with keys which unlock doors, which sometimes involves using the rune powers you unlock in the various islands. There’s not a lot of direction in the game to guide you if you get stuck and a few times I had to look up how to progress from the various guides written for the iOS version. That’s a bit unfortunate, but not too surprising. There are a handful of boss fights littered throughout the game and there’s usually a twist to defeating them. Having a giant plant monster inhale your bombs or reflecting a bosses’ fire spells back at them is usually the best way to defeat them. The fights weren’t particularly challenging, but I’ve never felt that way about classic Zelda bosses, either. There’s also a fishing mini-game available that feels kinda like Animal Crossing’s implementation of fishing, since you get to compete against yourself for catching the biggest fish of a species. There’s an achievement tied to fishing, but other than that there’s not really a reason to do it since it’s kind of boring. Overall, it took me around 12 hours to explore the islands and I appreciated that there are three different achievements tied to each location so you feel like you’re working toward something when you arrive in a new place. It also provides a pretty good incentive to explore the whole island and 100% it before moving on. 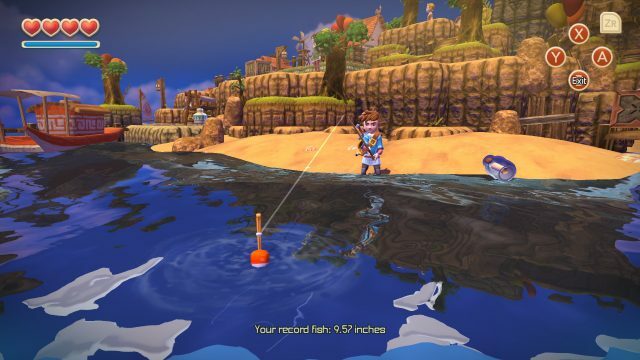 Oceanhorn is an entirely single-player experience, so there’s no multiplayer experience. The soundtrack for this game alone sold me on it, but combined with the loving tribute to classic Zelda puzzle gameplay, it puts Oceanhorn up there in my favorite list of indie games I’ve played on Nintendo Switch this year. The game features an absolutely incredible soundtrack with tracks from Nobuo Uematsu (Final Fantasy composer) and Kenji Ito (Seiken Densetsu composer). In fact, some of these tracks sound like they were ripped straight out of a Zelda game. Have a listen for yourself because you’re in for a treat. YES. This game is a love letter to classic 2D Zelda games with a sprinkling of Wind Waker thrown in. 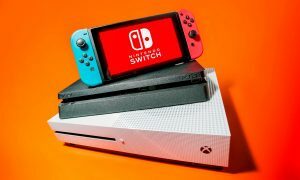 If you enjoy the puzzle dungeons found in games like A Link to the Past, A Link Between Worlds, and other classic Zelda games then you owe it to yourself to pick this game up on Switch. Even though it’s an iOS port the physical controls make the Nintendo Switch the definitive way to experience Oceanhorn. I had a blast with the puzzles and exploring the map and unlocking new islands and the lack of the tired “saving the princess” story is pretty refreshing for this genre. 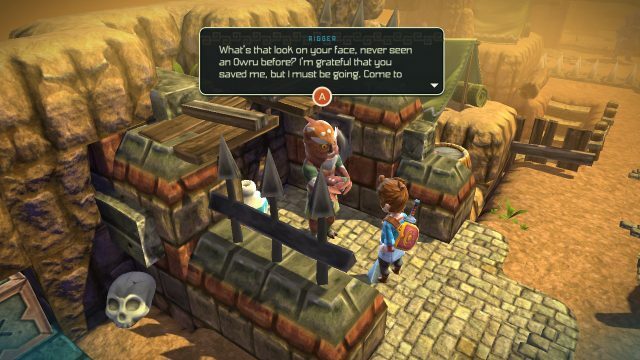 It may look like a Zelda clone but there’s a lot of heart and clever puzzles to be had in Oceanhorn.